INSECTS: Yes, bugs. Easy, no? Deadline is Monday, February 1, at noon EST. The entry form is HERE. this insightful essay by the brilliant Liesl Gibson at Oliver & S: "principles of fabric selection: approach juvenile prints with caution". Deadline is Monday, January 25, at noon EST. The entry form is HERE. 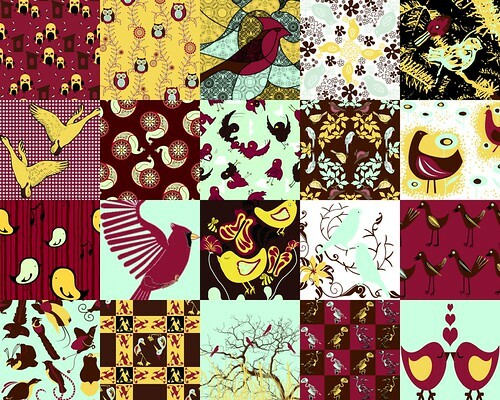 The winner of each week's contest receives 5 yards of free custom fabric. Be sure to review our contest FAQ before entering. We'll continue to announce new themes two or three weeks ahead of time via our weekly newsletter (which you can sign up to receive here). 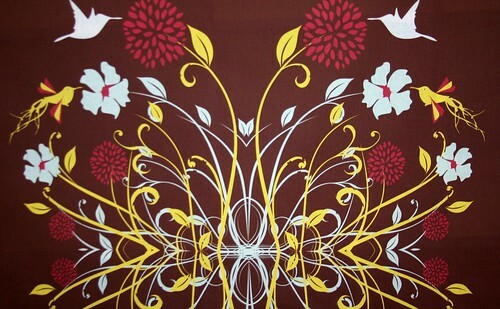 Did you think textile design was just for people who know how to use Photoshop and Illustrator? I hope not! 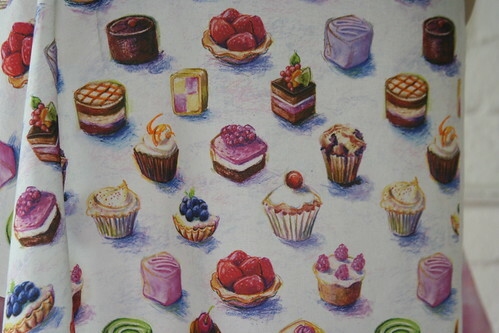 This week you can choose your favorite fabrics from 58 terrific designs drawn using Crayons. Vote here. Oriental Flowers by doro k.
Nice Zombies by Leigh R.
It's not in the contest because she withdrew the design (not technically drawn with Crayons), but be sure to check out Rebecca Cook's fun design Weedsack Flowers design. Good luck to the designers! Congratulations to the talented Marnie Long of MDesignStudio in Austin, Texas. Her Toile Noir narrowly won over a number of terrific toiles that garnered high vote totals. Check out the final results below. Thanks to all the designers who participated! Crayons: Fabric designs created using wax crayons and digitized using a scanner or digital camera. Deadline is Monday, January 18, at noon EST. Childrens' Prints: Prints good for using in children's clothes. Deadline is Monday, January 25, at noon EST. Entry forms and rules for the contests can be found here. Wow. It's not getting any easier to get all of these designs set up for voting each week. But it's worth it! 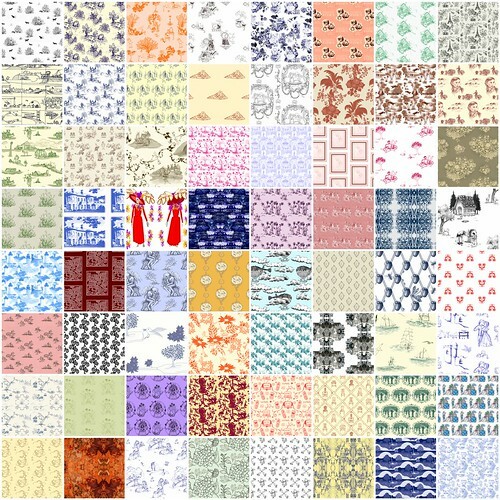 68 designs were submitted this week for our Toile de Jouy Fabric Of the Week contest. You can vote for all your favorites (on 2 polling pages) by clicking on the image below. Toile. The deadline for submitting a design to our toile de jouy themed Fabric Of the Week contest is tomorrow (Monday, January 11) at noon, EST. The entry form is HERE. Details on the contest, including the rules & terms, can be viewed HERE. Crayons. The next contest is restricted entirely to fabric designs created using wax crayons and digitized using a scanner or digital camera. The goal is to see designs that have not benefited from a lot of digital editing or manipulation. Deadline is Monday, January 18, 2010, at noon EST.